Good morning, everyone! It’s that time of year when you’re either grinning ear to ear because the weather has cooled off enough that your peppers and other plants are producing like crazy (harvest time! ), or you’re scrambling to get everything off the vine before the first frost arrives. Either way, you may find yourself with an abundance of peppers. If you don’t want to stuff them (with beef or with chicken), why not try them in a stir fry? You could use your garlic and onions, too. 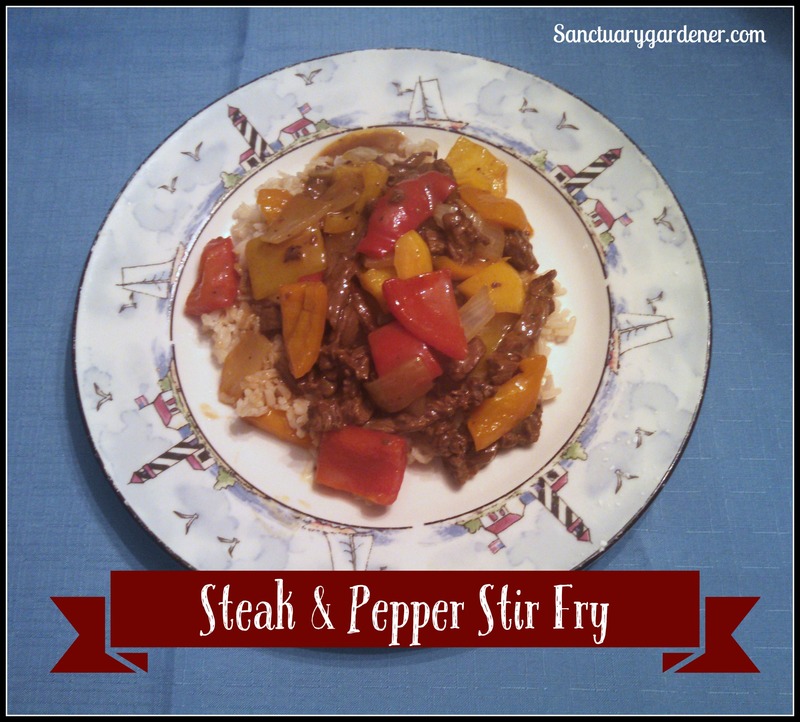 Steak & Pepper Stir Fry!